Christchurch has something to offer for everyone, folks. The choices are as vast as they are exciting, ranging from the historic tramway to the idyllic botanic gardens, to swimming with the dolphins. It’s a great city to visit, whether for business or for pleasure, with friends and family alike. Melding the old with the new, the traditional with the modern, the city evokes both an exotic charm, as well as a homely warmth. 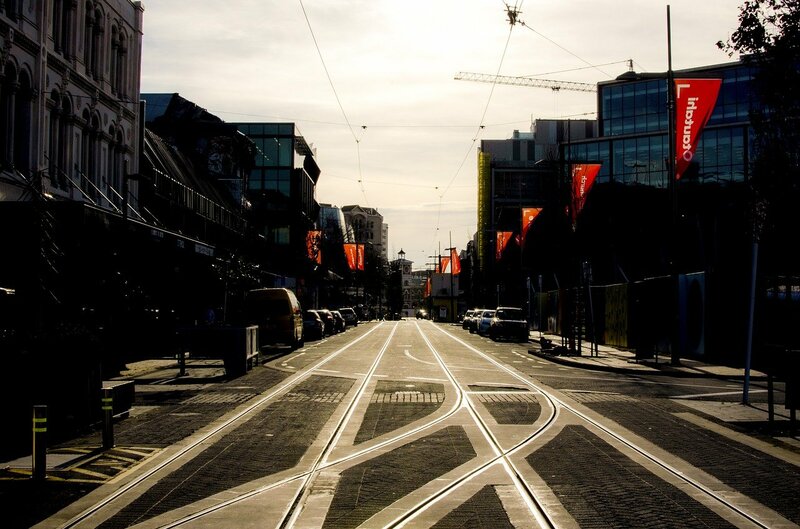 So hop on one of our historic trams and go explore this wonderful city. Here are a few of the many things you can do. Take your pick. 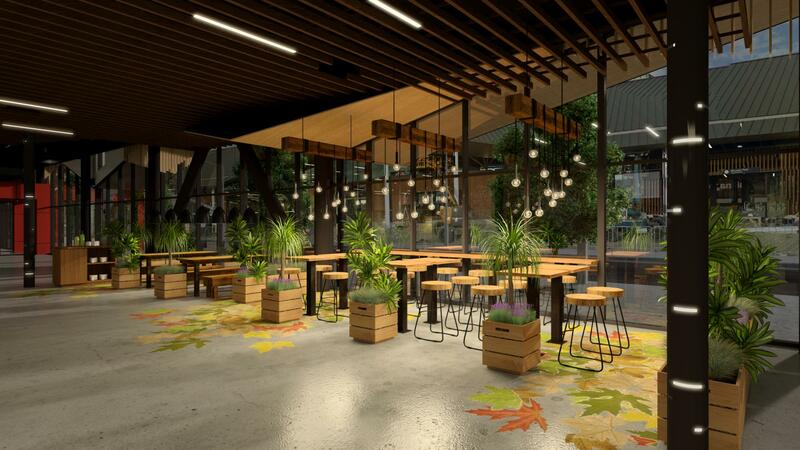 You can also head on down to the Christchurch restaurant and café for some fine New Zealand inspired cuisine. Souvenirs and gifts are also available (in exchange for money). Opening times: Summer: 9:30am-7pm. Winter: 9:30am-5pm. No, this has nothing to do with black cats, folks; so the superstitious amongst you can rest easy. Fascinated by life on water? 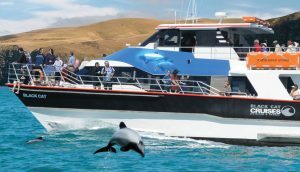 Head on down to Akaroa harbour and take part in cruises and boat tours. The name ‘Black Cat Cruises’ is inspired by the modern catamaran, a sixty foot by twenty-meter boat, referred to as a black cat, a journey on which is available at the harbour. But perhaps the most exciting activity that this venue has to offer is a chance to swim with the dolphins, including the endangered Hector dolphin. If you’re not interested in getting inside the water, cruise around extinct volcanic craters and admire the magnificence of nature. 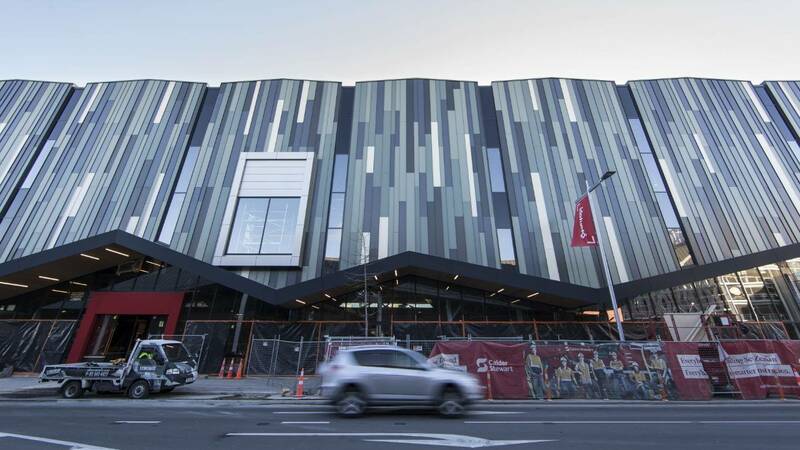 Comprising twenty-three heritage buildings, the Christchurch arts centre is paramount to preserving New Zealand’s rich cultural history. It was badly damaged in the 2010 and 2011 earthquakes. Despite the repairs, it is yet to regain its former glory. But efforts are underway, and businesses have started to return. 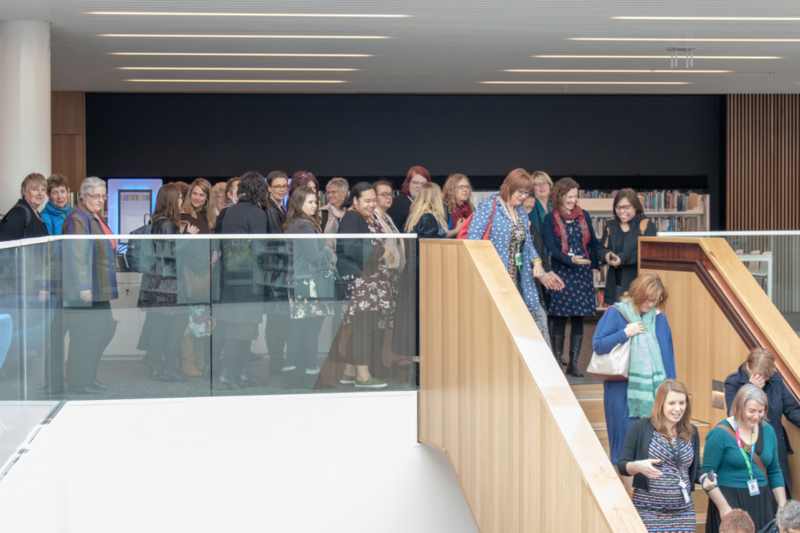 Visit the great public spaces, like North Quad and the Great Hall, as well as the other historic buildings that this fascinating venue has to offer. 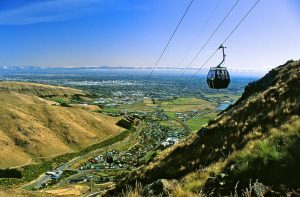 One of Christchurch’s premier tourist attractions, the Christchurch gondola is also referred to as a cable car. Its course is one thousand meters in length. The city of Christchurch, the Canterbury Plains, the Southern Alps, Lyttleton Harbour and Banks Peninsula are all visible from the summit. It’s worth going for the view alone. Take long hikes on the walking tracks on Mount Cavendish, or just relax and enjoy what you see. Folks, this is a Christchurch classic. Go sightseeing in a small flat-bottomed boat, where your guide, dressed in Edwardian clothing (for no apparent reason) will provide you with running commentary on the way. 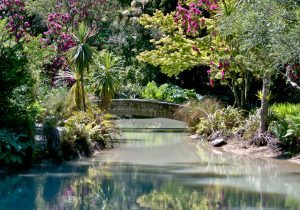 Admire the beauty of Christchurch botanic gardens or the constantly changing face of the garden city as you gently drift along the Avon river. 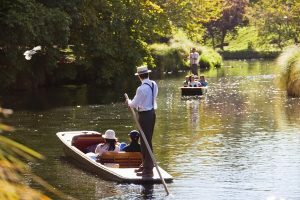 Open to tourists in summer and winter the Avon punting tours are ideal (eco-friendly) recreations for groups and families alike. 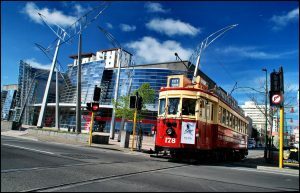 Perhaps Christchurch’s most iconic tourist attraction, the Christchurch tramway routes have been powered by horse, steam and electricity. No longer employed for the purposes for which they were originally built the Christchurch way routes are now limited to the central city. The drivers are world-renowned for being informative, witty and hospitable all the same time. 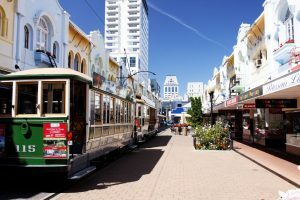 You can get on and off the trams as you please, making this a great way to experience Christchurch quickly and economically. Inspired by the paintings of Vincent Van Gough, the chairs is the name given to a touching art installation and unofficial earthquake memorial comprising one hundred and eighty-five empty chairs to remember the hundred and eighty-five individuals those who lost their lives in the 2011 Christchurch earthquake. It was installed on the first anniversary of the earthquake. 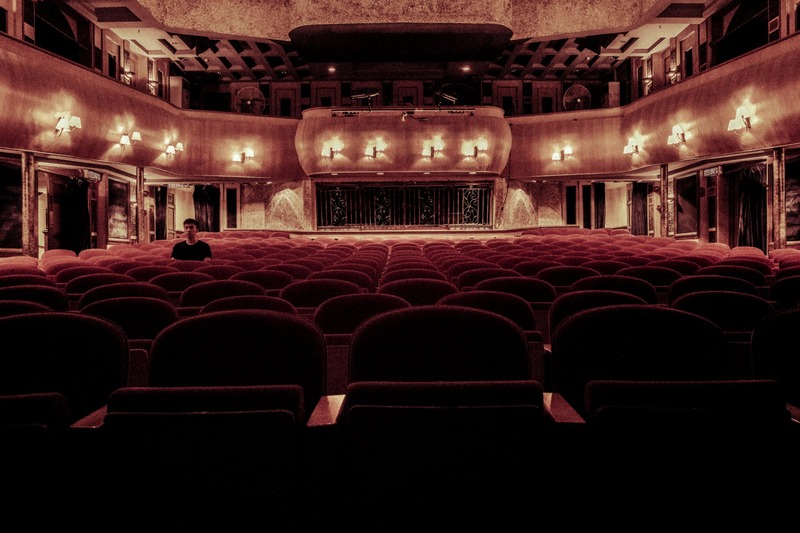 Viewers are permitted to sit on the chairs and reflect on what they signify. At the moment there is a search for a place that can permanently house this remarkable installation. Let Ko Tane take you on a journey through time. 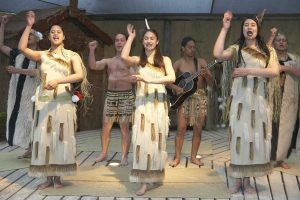 this interactive cultural experience gives visitors into Maori history, spending over three centuries of it in an entertaining and informative manner. Learn what comprised Maoris’ pre-European way of life, compared to its post-European way of life and discover what implications this has for Maori in the twenty-first century. 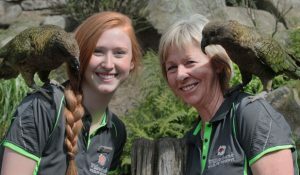 Our guides are tomes of knowledge on the Maori way of life. Allow them to demonstrate what makes the Maori people a singular indigenous culture of the twenty-first century. 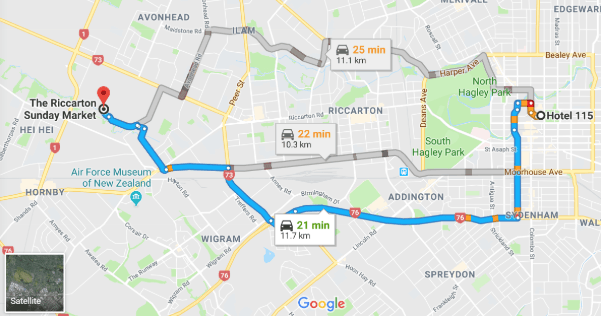 Address: Corner of Chasel and Madras streets, near Cardboard Cathedral, Christchurch. 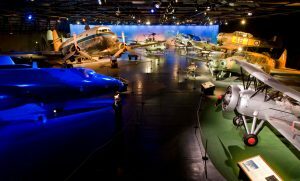 Charged with the task of preserving New Zealand aviation military history, the air force museum of New Zealand has a collection that includes objects going all the way back to world war one and reaching all the way forward to the present day. The collection also includes objects belonging to former enemy forces, and art and memorabilia as well as an extensive photographic archive. Admission is free. When an English Oak was planted in the central city of Christchurch in 1863 to commemorate the marriage between Prince Albert and princess Alexandra of Denmark, the foundations for the Christchurch botanic gardens were laid. Sprawling over twenty-one hectors, adjacent to the Avon river, the Christchurch botanic gardens are brimming with exotic foreign plants as well as local ones. Visit the gardens visit our centre, grab a bite at the café and buy a gift to commemorate your visit at the gift shop. 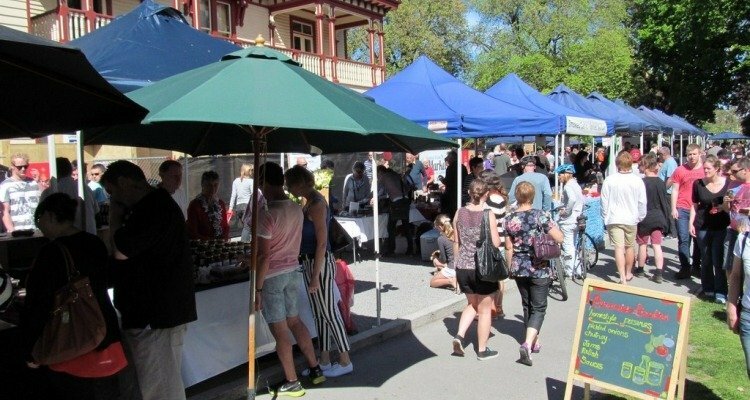 Address: Rolleston Ave, Christchurch city centre, Christchurch 8013. The centre where old New Zealand and new converge, New Regent Street is a phenomenon unto itself. This quaint and historic street, with its unique streetscape, form, design, colour and scale, is home to a multitude of cafes and eateries. It is great for retail therapy. Walk around and marvel at the throng of coloured buildings ranged before you. Also accessible by tram, this is a great spot to jump off and explore. Full of personality, this street is definitely worth a visit. 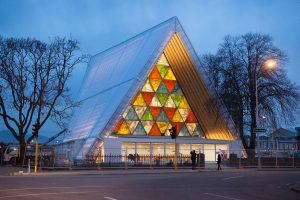 Opened in 2013, the cardboard cathedral belongs to the Anglican Diocese of Christchurch. 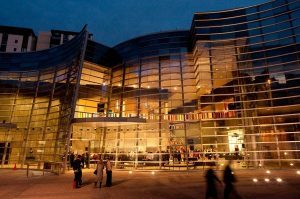 It is a few blocks away from the Christchurch Cathedral, which was significantly damaged in the year 2011. The Cardboard Cathedral is regarded as the most recognisable building in the city, a symbol of moving on from the natural disasters of 2011. It is a must see, being the only cathedral in Australasia. 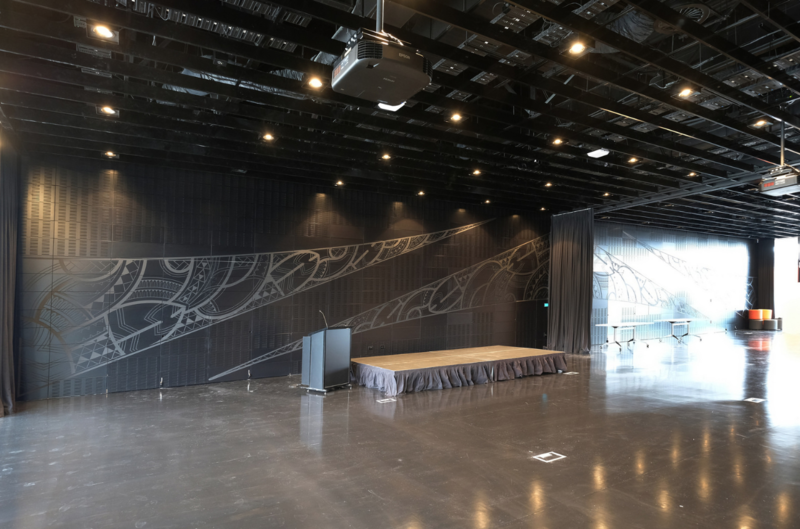 Aimed at reminding and informing New Zealanders and international tourists of the Canterbury earthquakes, Quake city is a multi sensory tourist attraction, telling stories through photography, artefacts and video footage. The artefacts include bits that fell off the Christchurch cathedral building. Quake city is currently in the process of relocating as the people in charge seek to secure funding for the purpose. Opening times: 10am-5pm (Temporarily closed). Looking for a chilling experience in the snow with penguins? Or perhaps you and the kids are lovers of amusement park rides. The international Antarctic centre is the place for you! Be prepared to be wowed by the scenery. This is a great place to take the family, particularly if you’re fans of history and exploration. The huge land ride is particularly popular amongst old and young alike. Previous Blog : Why do You Need to Go to New Zealand Cup and Show Week?